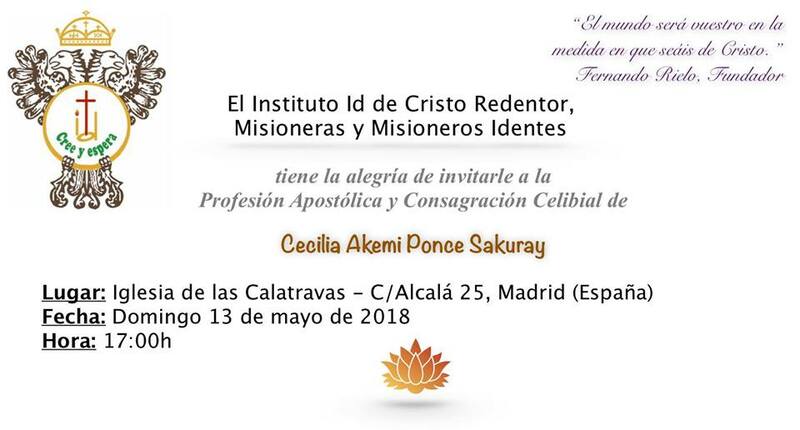 This Sunday, May 13, under the beautiful signs of the Solemnity of the Ascension and the day of the Virgin of Fatima, the profession of vows of our Bolivian sister Cecilia Akemi Ponce Sakuray will be celebrated in the Church of the Calatravas of Madrid with a beautiful Eucharist. The religious ceremony will take place at 5:00 pm and will be presided over by the President of the Idente missionaries, Fr. Jesús Fernández Hernández. 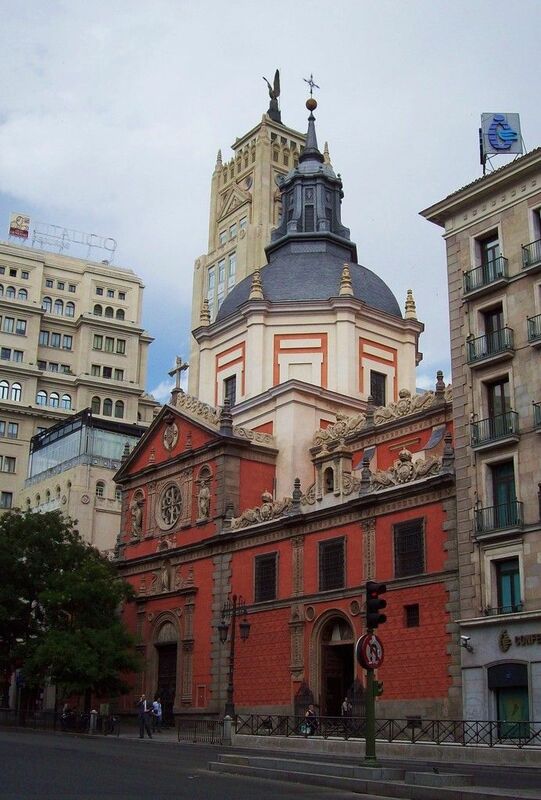 A large attendance is expected among missionaries, friends of the Idente Family and of the Idente Youth, both in Madrid and in the nearby provinces. Undoubtedly, it is a moment of joy and hope for our idente Institute as well as for the local Churches of Madrid and La Paz (Bolivia), archdiocese of origin of our sister.